Do you know a bride-to-be, a mummy-to-be or even a birthday girl who is a fan of cake, tea and all things pretty and vintage? If so, why not host a vintage tea party for her? It can be done in the comfort of your own home and is easy to organise! Timing: Are you going out for the day? You could host a breakfast tea party with, of course, English Breakfast Tea and hot buttery crumpets. Are you planning to go out later? You could have a light afternoon tea while you gossip and relax. Or, how about a glamorous evening tea party before the big night out? You could serve nibbles alongside cocktails in tea cups. Check out our previous post for some fabulous winter cocktail ideas to get you started! Theme: What will your theme be? You could have Pajamas and Pearls, Fabulous 1920s Flappers or a Mad Hatters Tea Party. For a mummy-to-be you could have an indulgent afternoon tea to satisfy their cravings! The Details: The other important details to think about include decorations, food and drink. As well as vintage china, you can use fresh flowers, lacy doilies and, of course, bunting to decorate the room in which you are hosting your party! You will need to plan a delicious tea party menu, which traditionally includes finger sandwiches, scones, cream, jam and of course, lots of cake! If you ask each guest to bring something it will share out the catering. You could even have a Great British Cake-Off! Finally you obviously can’t have a vintage tea party without tea, but don't forget that you could replace your tea with tea pot cocktails or mocktails! We would love to hear what you are planning to do for your event! 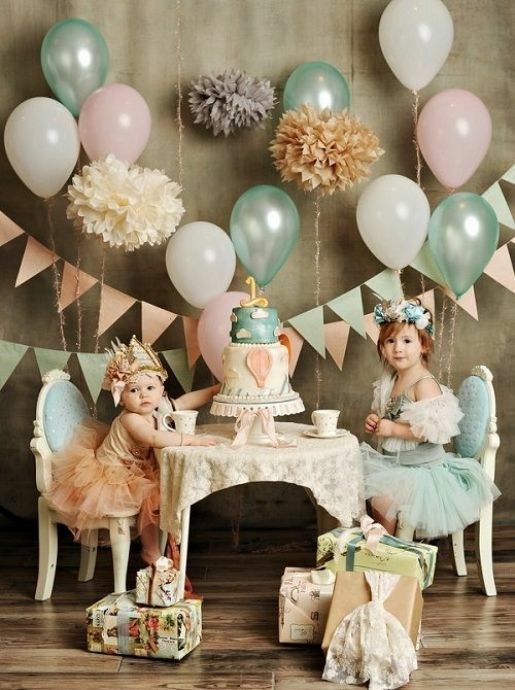 P.S We love this idea for a sophisticated tea party for your daughter!